Heritage and legacy are at the core of Armenian values, yet many Armenian-Americans have lost touch with their cultural roots. Over the next few weeks we’ll be updating this post with a 3-part mini-documentary series that follows the journey of one woman on a cultural, spiritual and philanthropic journey to the place we all call home…regardless where we live. To follow the journey simply bookmark this post and come back in a few days to watch the next video in the series. After watching, consider how you can get involved, click here to view donation options. EPISODE 1: Like many Armenian-Americans, Armene always wanted to get back to her roots. We at FAR gave her the opportunity of a lifetime. Follow as she embarks on her journey to reconnect with the heritage that makes us all who we are. EPISODE 2: As Armene continues her journey, she discovers how Armenia is truly a living museum rich with culture, history, and endless stories encompassing their deepest of backgrounds. Experience Armene’s adventure with her as she reconnects with her cultural roots. EPISODE 3: Watch Armene’s final days in Armenia and see how they become the most important. Her discovery and inspiring moments are not to be missed! 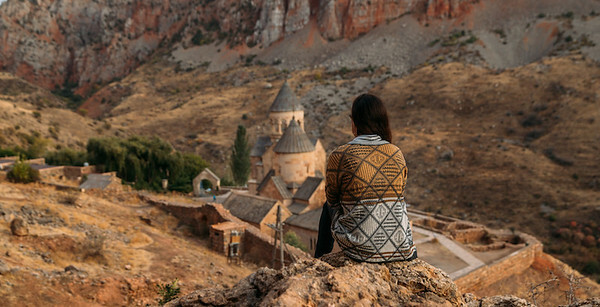 Experience Armene’s adventure in full as she reconnects with her cultural roots and finds her Armenian soul. Thank you for watching the Go FAR documentary series. Please consider getting involved by making a donation here: https://secure.qgiv.com/for/armenianrelief/.